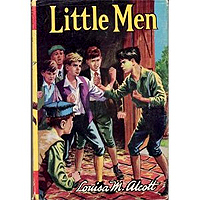 Little Men revolves around the boys that attend Jo's recently erected Plumfield school and their antics there of. The boys are all very lovable especially Dan, the mysterious ruffian who arrives halfway through the book. With all their little faults and fancies the boy's life is an exciting mix of foolishness and honour, happily forseen by Mother and Father Bhaer who love them all equally. Though Little Men lacks slightly the charm of Little Women and Good Wives in terms of their being a few to many characters to allow us to relate to them as much as the original four March sisters, it is still a delightlful look at the inner workings of little boys minds and a brilliant laugh with some truly hysterical moments! If Little Men weren't an entertaining novel, it could serve as a timeless reminder of how adults can help children direct their energies in helpful ways and develop better habits. The philosophy is to provide lots of love, understanding, forgiveness, slack and carefully chosen incentives and guidance while encouraging friendships among youngsters who will balance one another out if they spend time together. You'll recognize lots of Marmee's loving approach in Jo's more rough and tumble perspective. It's a nice combination. For those who loved the child-centered world of Little Women, you'll be entranced by what Jo does to educate and raise her own boys, her nephew and niece, a troublesome neighbor girl, male boarders and some unfortunate orphans. Much of the novel focuses on the character development of two poor orphans, Nat and Dan, who find Jo's Plumfield (which she inherited near the end of Little Women) to be an unfamiliar paradise of a home and school that requires some adjusting to. Although the title is Little Men, there's plenty of focus on Daisy, twin sister to Demi, Nan, an independent girl with lots of energy, and Bess, Amy and Laurie's daughter. There are pretend balls, teas, and dramatic performances that echo those in Little Women. But the male slant that is subdued in Little Women bursts forth in Little Men as the book recounts pranks, brawls, collections of disgusting items, pillow fights, taming a colt and doing heavy chores. Like Little Women, the chapters are really short stories involving the same characters as they progress from month to month. 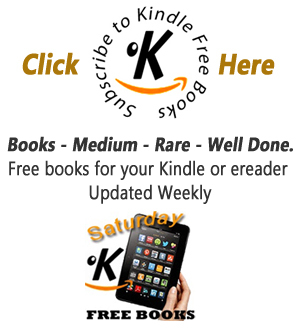 If you haven't read Little Women, by all means start there. An important part of the fun of Little Men is finding out what happened next to Meg, Jo, Amy and Laurie.